Aprilia / Ducati / MV Agusta Heated Handlebar Grip Glue By R&G Racing. Eliminate that annoying spinning grip by getting a tube of grip glue. This holds grips firmly in place. 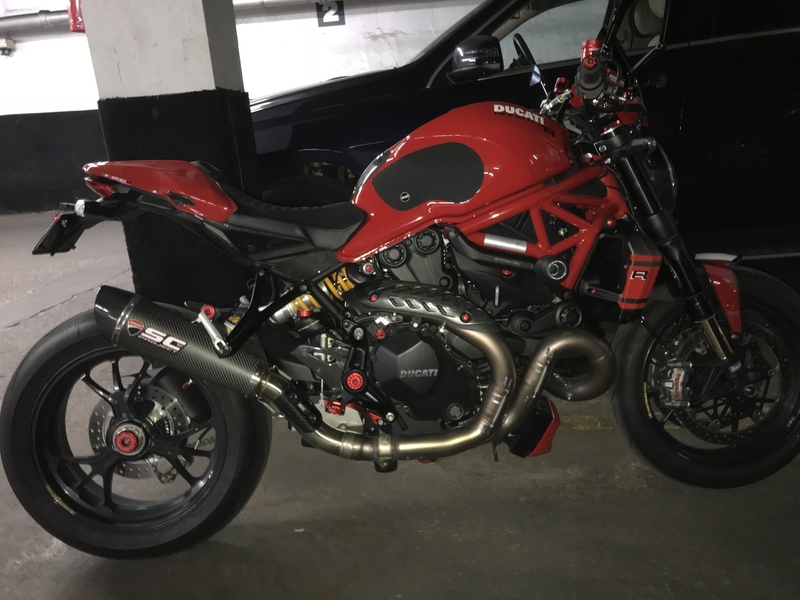 A popular upgrade for Naked Ducati Monster, Aprilia Tuono V4 and MV Agusta Brutale Owners. It helps to reduce arm pump caused by trying to hold spinning grips in place. Grip Glue is essential for the correct and secure fitting of all brand grips. There isn't anything more dangerous or disconcerting than `grip slip` when they haven't been fixed to your bars properly. Renthal grip glue comes in a 25ml tube and is specially developed for sealing grips to your bars, with any purchase of grips always remember Renthal grip glue. Ideally suited to be used with CNC Racing or R&G Heated Grips. Beautiful design and style for your Motorcycles by R&G Racing. I would recommend to be prepared. Once you apply the adhesive , it dries pretty quick. Upside is it helps slide grip much easier.